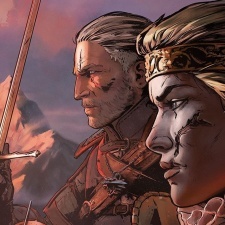 Thronebreaker: The Witcher Tales has come to Steam after underperforming during an exclusivity period on CD Projeckt's own games marketplace GOG. A spin-off of a spin-off, Thronebreaker spun an ambitious Witcher RPG out of a single-player Gwent campaign. But during a CD Projekt financial call, joint-CEO Adam Kiciński admitted that the company had overestimated the title's potential on its own storefront. “The game appealed to the community, which drove up our expectations regarding sales,” said Kiciński. “Unfortunately, as yet, these expectations have not been fulfilled. Still, we remain optimistic. We expect to continue to sell Thronebreaker for many years to come, even though the initial period may not have lived up to our initial expectations." Thronebreaker’s exclusivity on GOG hinted at efforts to capitalise on the popularity of The Witcher brand and hopefully drive more consumers to the store. But for the time being, it looks like CD Projekt isn’t quite ready to fully detach from Steam. “The game appeared on GOG first for fairly straightforward reasons," said Kiciński. "GOG is our priority platform and we wanted to release the game there first to gamers who support us there. However, the reach of GOG is incomparably smaller than that of Steam. We know that there's a large Witcher fan community on Steam and that's why we also released the game there." Kiciński clarified that Thronebreaker has by no means been a financial failure and is apparently performing well. But it appears it overestimated either, or both, the popularity of a niche The Witcher spin-off and its DRM-free marketplace. No word on future The Witcher Tales instalments was given. Kiciński also cautioned against drawing conclusions against future CD Projekt releases. Thronebreaker’s GOG exclusivity might not have drawn crowds to the store, but there’s no telling if CD Projekt might try a trick like this with a landmark release like Cyberpunk 2077. I'm in two minds whether they should make Cyberpunk an exclusive. It would make huge amount of PR an no doubtingly bring more gamers to the service. But it would alienate a lot of gamers and they'd be doing exactly what the vast majority of publisher do by removing the consumers ability to choose.